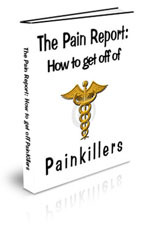 Another person in Pain… | How to get off Pain killers. and it brings me right back to where I used to be a while back. A person gets injured, they are prescribed pain meds to HELP with the pain, the next thing they know they are hooked. Then their whole life starts to change. I mean everything, their personality, their focus and their goals. Their focus starts to be on their pills, how many they have left, when they get their next refill, and if they develope a tolerance how they are going to get more. My heart goes out to the person, and I hope he gets a seed planted. I personally am an active member of a 12 step program to helpme with my ongoing support and growth. Once a person gets clean they need on going support to help them keep the ugly head of addiction at bay. Just because a person gets clean, doesn’t mean it’s going to go away. Especially with an opiate drug, it will be there for the rest of their lives, waiting in the corner doing pushups getting stronger and stronger waiting for a weak moment, and then it moves in for the kill. Opiate addiction is a problem that effects the brain in a long term, sometimes permanent way. Depending upon the amount and length of time the person was using opiates will determine the extent of the damage done from the abuse. After a person gets off of opiates the brain has to relearn how to make endorphins again and that can take a long time. During this time the person will experience a wide range of roller coaster emotions. Anxiety, depression, happyness and so on. This period of time in which the brain is trying to get back to normal is called Post Acute Withdrawal Syndrome or PAWS for short. This is and can be a dangerous time for the recovering opiate addict, because they probably just want to be back to normal, have a normal everyday life and experience normal everyday emotions instead of the intense range of roller coaster emotions they are feeling. There are several ways for the person to deal with this, one is to just push through it, for the next 6 months to a year or two, or do more opiates. There is also the way I went and that was with Buprenorphine treatment. Buprenorphine fills the receptor sites where opiates used to fill, which is also the endorphine receptor sites as well, thereby acting like endorphines and keeping the person from having this wide range of emotions. One thing that I experienced was a feeling I hadn’t had since before I took pain pills a few years ago. It was the happyness I had from before being on pain pills. it was the feeling of normalness, the feeling of I had my life back and everything is going to be fine. I am so happy to have had this back. Anyway back to what I was saying, PAWS is a critical time for the recovering pain pill addict where they need all the support they can get. From friends, loved ones, parents, wives, husbands and whoever else is close to them in their life. I mentioned the 12 step group, I have found a whole new set of friends through 12 step program I am in and I now have the support I need anytime I need it. I left a comment for the owner of the blog I linked to, This young man will get a copy of my report if he wants one. I can only wish him the best. He’s scared and I have been there too, it’s not pretty what opiates and pain pills do to a person. PS I forgot to mention that he is on his way to rehab. Rehab as I mentioned in another page here, is a rather costly way to get help, which doesn’t always do the job AFTER the person gets out. Rehab sometimes gets the person clean and detoxes them off the pain pills, but when they are done with detoxing they usually exit the rehab with no support tools for ongoing sustained recovery. Many times a person will relapse, and either re-enter rehab, or they will stumble onto somethign that might help them. What rehabs need to do is introduce them to AA or NA. One more thing that I heard recently is sometimes a rehab center will use buprenorphine for detoxing a person, but once they are done they cut them off. Which is the wrong thing to do, they need to be on buprenorphine for a period of time until the brain gets back to some normalcy and the person gets some addiction recovery support system in place. ok anyway now it’s time for bed. We’ve been through the detox, the subox, the waiting for normalcy…. the degradation and humiliation by the medical community. The problem is that the pain isn’t being treated now after 2 back surgeries. My spouse was detoxed from the oxy prescriptions, but his brain is not normal– 2 years later. He is left alone in his pain and suffering. All the counseling in the world can’t undo a chemical reaction that caused permanent brain damage from 20 years of opiate prescriptions — might want to add that he didn’t feel “addicted” until a doctor forced Oxy’s on him and kept escalating the milligrams. Can anybody tell me where the hope is? My spouse wants to be prescribed pain medication (anything but oxycontin)… what doctor in the world is going to touch that one? Suboxone is a partial opiate that can do several things at once. First it will help with the pain of withdrawal from full opiates. Then it can help with the pain of the back surgeries. It also fills the receptor sites that are left empty from opiate detox, where endorphins should be. So you bypass the depression associates with opiate withdrawal. There are also some supplements he can take to help with the pain, such as Fish Oil, great anti-inflammatory, Digestive enzyme, Paipin and other proteolytic enzymes, that tell the inflammation when to stop. As we get older, the enzymes that tell our body to stop being inflamed are lowered with age, therefore, as they say inflammation begets inflammation, taking the proteolytic enzymes tell the body to turn off the inflammation and relieve swelling. this helps immensely as well. Another supplement is the natural muscle relaxant magnesium. Which is in Doan Back Pills. Taking Magnesium and Calcium will help the pain go away as well. 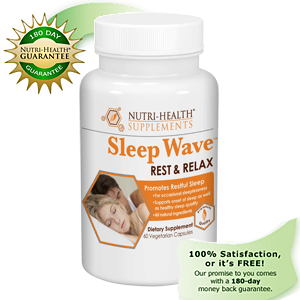 Magnesium is a natural muscle relaxant and it needs calcium to work synergisticly with the magnesium to be absorbed. Magnesium needs calcium to be absorbed. and vice versa. I was on pain meds for over 4 years and tried to stop on my own and couldn’t do it. Suboxone was what I needed to get off, and when I got off the suboxone I had no craving for opiates at all. I should also say that today, aside from the normal occasional kinks and such, my back is pain free. But I stretch EVERYDAY. which I am willing to bet he will need to as well. If its a part of the back that link will help.